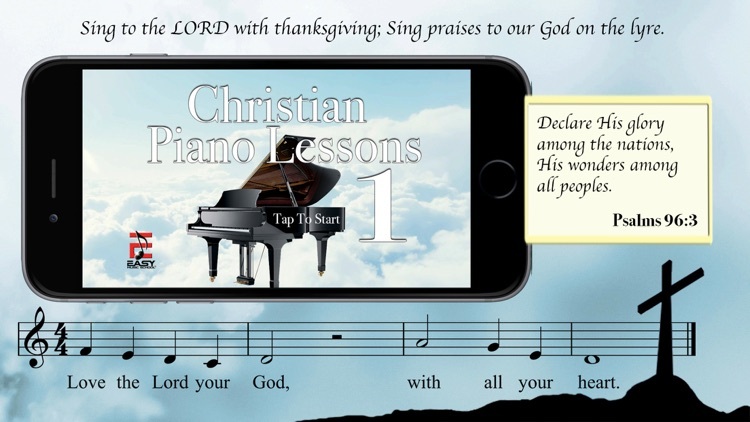 Christian Piano Lessons 1 - Learn to read music, play the piano and sing wonderful songs to the LORD. The words of God, in simple melodies. Anyone can play, from one note to simple songs. 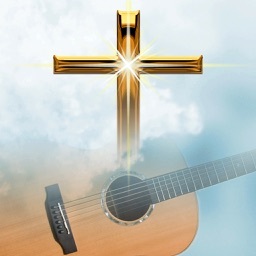 From lesson 0001 to lesson 0121, you will make music for the LORD. 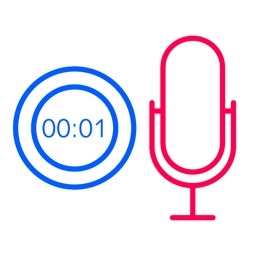 You will know music perfectly. You will glorify His name with music! know, how difficult is to have good musicians in church all the time. the congregations that have good music God bless them more. 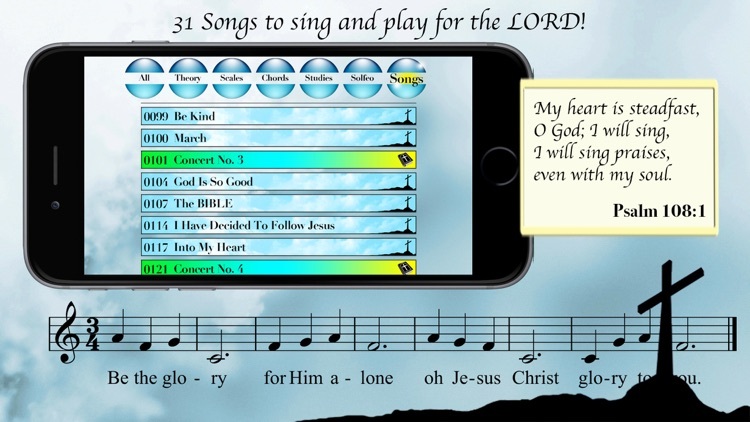 music for our LORD, and keep singing and make joyful melodies for Him. 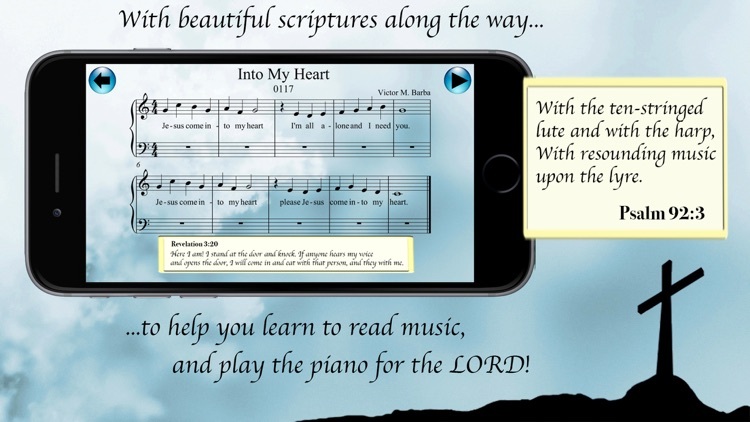 One lesson at a time, learn with this great Christian App/Book! Each page will teach you one lesson, one study, one song, one exercise. 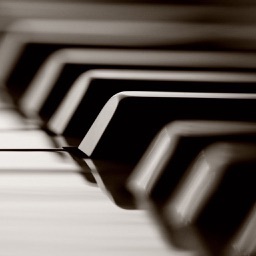 Take all the time you need on each lesson, and you will learn to play piano. 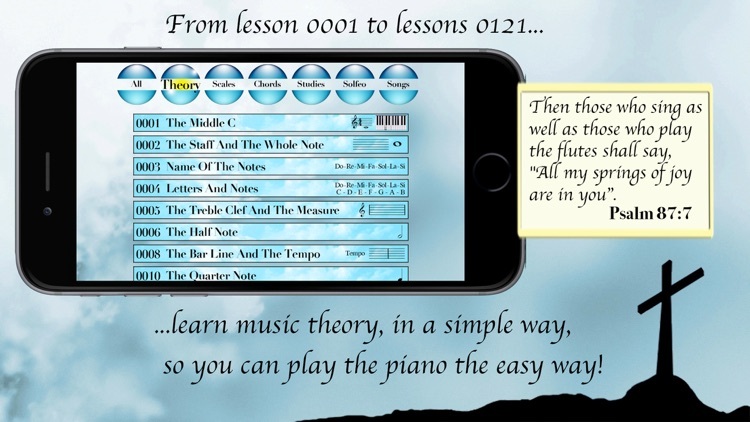 Each lesson is in order, organize from one note to simple melodies. 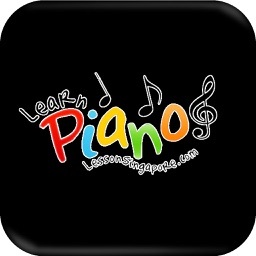 Anyone can learn the basic of playing the piano. and the spirit of God is with us all the time. This app is not recommended for kids under 12, is better for older kids or adults. 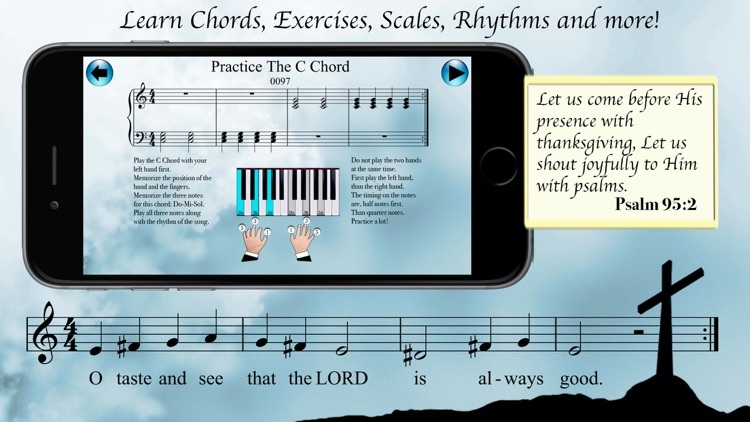 I have developed this app with a lot of love, an all the experience I have learned in 35 years of teaching, is in this app. Take one lesson at a time, make sure you can play that song, or that exercise before moving to the next lesson, and the LORD will bless you with the talent of music. 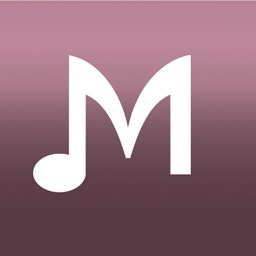 30 Lessons on Music Theory. Easy to use. Simple to follow. Very effective piano lessons. 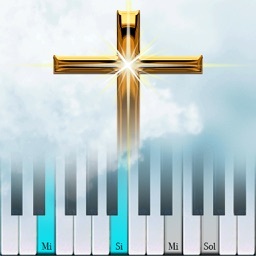 to learn how to play the piano, praise the LORD, and learn music the right way! Christian Piano Lessons No. 2 is under development now!